Belvidere Rehab & Sports Medicine was founded with the mission of providing top-level skilled physical therapy in a relaxed environment. Over the years, BRS has grown, adding treatment offerings and specialized therapy equipment. Why? Because we are constantly changing and growing to better meet the needs of our patients and referring physicians. One thing that sets BRS apart from the rest, is the specialized skill set and physical therapy focus that our therapist possesses. The end result is result is better care and optimum results for our patients through specialized care. Our office in Belvidere is staffed with a specialist who is devoted to what he does. 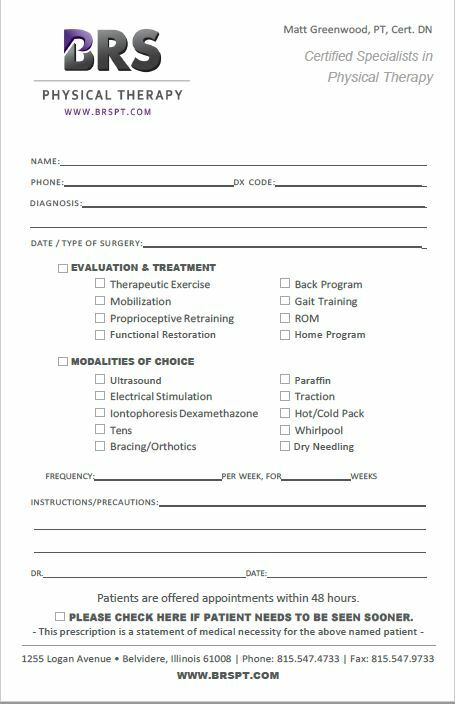 Our main focus is the rehabilitation of musculoskeletal disorders and dysfunctions, including neck and low back pain, post-surgical procedures, motor vehicle accidents, sports injuries, balance and coordination issues and many other outpatient diagnoses. We work to restore function, improve mobility, relieve pain, and prevent further injury through education. Our BRS specialist has many years of experience—and knows how to treat a wide range of conditions. 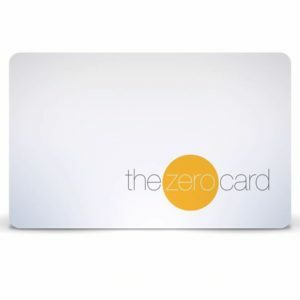 Plus, we use a team approach to care, conferring with other affiliate specialists for opinions and ideas, which means our patients and their physicians can be confident that we will develop a comprehensive and effective treatment plan, even in difficult cases. 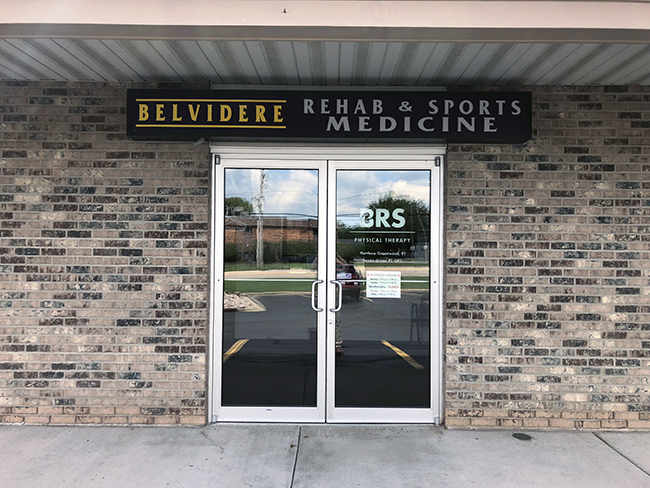 At Belvidere Rehab & Sports Medicine, our experience and diverse staff set us apart…and our patient care, successful outcomes, and cordial atmosphere take us even one step further. At the end of the day, it’s about helping people…we enjoy what we do here…and patients notice this. Belvidere Rehab & Sports Medicine: helping people get their lives back, one day at a time.